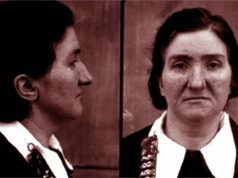 Nannie Doss was an American serial killer who poisoned her mother, two sisters, two children, four husbands, her mother-in-law and a grandson. 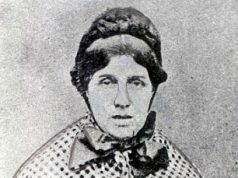 However, she was only convicted of the death of one of her five husbands. Nannie Doss was born in 1905 under the name of Nancy Hazle. She had one brother and three sisters and she had quite an unhappy childhood. 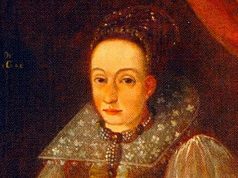 She did not attend school regularly as her father, a very strict man, wanted his children to work on the family farm; for this reason she never learned to read well. At age seven, while she was traveling by train with her family to visit some relatives, the train stopped suddenly causing her to hit her head on the iron bar of the seat in front of her. Over the following years she began to suffer from headaches and depression, symptoms that she always connected to that incident. As a teenager, her father forbade her and her sisters to wear makeup, wear fancy clothes and attend dances or parties. Her favourite pastime then became reading her mother’s romance magazines, especially the lonely hearts ads, which made her fantasize about the perfect love story. She married for the first time at the age of 16 years and had four children. During the marriage she lived with her mother-in-law, a woman who wouldn’t allow her to do anything, and that in fact completely managed her life and that of her husband. In 1921, at age 16, Nannie met Charlie Braggs in a textile factory and after just five months, the two got married. Between 1923 and 1927, they had four children, but Charlie’s mother was a very authoritarian woman who loved to control her son and daughter-in-low’s lives, and who de facto run their home life. Because of this Nannie began drinking and smoking heavily, and what had once been only a sporadic habit, soon became a serious problem. The couple began to be unfaithful to each other and because of this Charlie sometimes was away from home for days. The marriage was getting worse by the day and the situation worsened after the death of two of their four children, due to an “accidental” poisoning. Charlie, however, suspected his wife to be the culprit and decided to escape from home, taking with him the eldest daughter, Melvina, and leaving the youngest, Florine, with Nannie and his mother, who died mysteriously shortly after. Left alone with a daughter, Nannie began to work in a cotton mill. A year later, in 1928, Charlie returned home with her daughter, bringing with him a divorced woman and her son too. Charlie and Nannie got divorced and she went back to live with her mother, together with her two daughters. Charlie was the only husband to survive. Having to work, her hobby once again became reading the lonely-hearts section, as well as responding to a few ads. One of these was published by Robert Harrelson, a 23 years old boy who worked as a labourer in the city of Jacksonville. They exchanged a few letters and Nannie decided to move in with him, along with her two daughters. They married in 1929 and despite Nannie later realizing that her husband was an alcoholic with a criminal record, the marriage lasted 16 years. In 1943 Melvina, Nannie’s eldest daughter, gave birth to a little boy, Robert Lee Haynes. Two years later she was about to give birth to her second child and Nannie offered to help her. 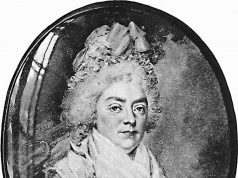 She went to Melvina’s and helped her with the delivery, which took place in the house and lasted a couple of hours. Melvina’s sister and her husband were waiting outside the bedroom but when Nannie came out, she carried the news that the child was dead. 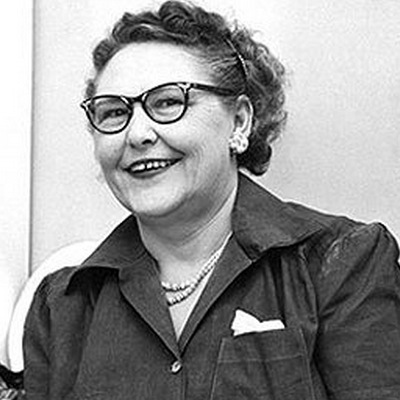 Melvina later told her husband that she believed to have seen Nannie insert a pin into the head of the child, but that she wasn’t sure, as this could have been a hallucination caused by the ether used as anaesthetic. The husband, however, recalled that when Nannie had left the room to give him the bad news, she was carrying a pin. Doctors revealed no abnormalities on the little body and further investigations were dropped. Following this event, however, Melvina and her husband got more and more distant, until they finally split. The woman then began to date a soldier, of whom Nannie did not approve. In 1945 Melvina decided to go and visit her father for a few days, leaving the little Robert with her grandmother. Unfortunately the little boy died asphyxiated. This was registered as accidental death, despite Nannie having bought a $500 insurance on her nephew’s life, which she received regularly. When the war was finally declared over, Nannie’s husband, Harrelson,went to celebrate, got very drunk, and drove home intoxicated. He had a quarrel with Nannie and raped her. The next day Nannie was in the garden when she saw a bottle of whiskey that her husband had hidden. Angry about the violence experienced, she added rat poison to the bottle and that same evening Harrelson died in terrible pain. Nannie met Arlie Lanning and married him three days after their first meeting through an ad in the lonely-hearts section. He turned out to be the same as her previous husbands, a drunkard and a womanizer. Nannie began then to be absent from home more and more, going missing for months. When she was home, however, she played the part of the perfect wife and housewife so when Arlie died of what looked like a heart attack, the whole city gave support to the poor widow. The house where they lived was supposed to be inherited by Arlie’s sister, but it was destroyed by a mysterious fire. Nannie, however, insured the house and got the money after the fire. After the mysterious death of her mother-in-law in her sleep, Nannie decided to leave the state, going back to live with her sister Dovie. The woman was bedridden and after a few days Nannie’s arrival, she died suddenly. Nannie conobbe il suo quarto marito, Richard L. Morton di 69 anni, che non aveva il vizio dell’alcol ma era comunque un donnaiolo. La madre di Nannie andò a vivere con la coppia ma morì avvelenata nel gennaio del 1953. Tre mesi dopo anche Richard morì. 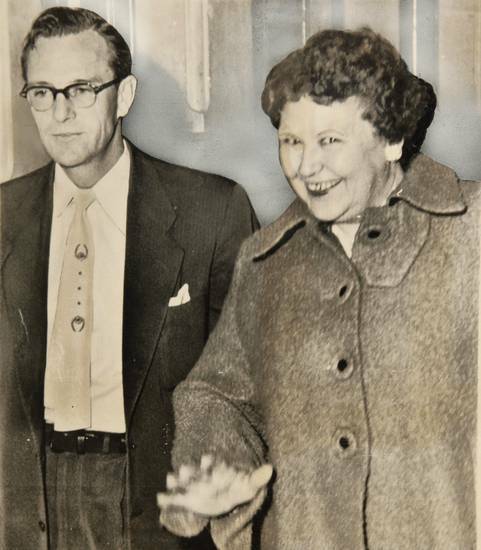 Nannie Doss met and married Samuel in June 1953, two months after the death of her fourth husband. In September, he was hospitalized with flu symptoms, which subsequently showed an infection of the digestive system. He was treated and released from the hospital in good health on October 5. The same evening Nannie poisoned him in order to get the two policies that had stipulated in case of her husband’s death. This sudden death made the doctor who had released Samuel from the hospital very suspicious. An autopsy was ordered and it revealed an amount of arsenic that could kill 20 men. She was taken to the police station where she was interrogated. At first she denied the allegations, saying that she had never poisoned anybody and that she had a clear conscience. After newspapers published the news that Nannie was accused of poisoning one of the husbands, the police starting receive various calls. 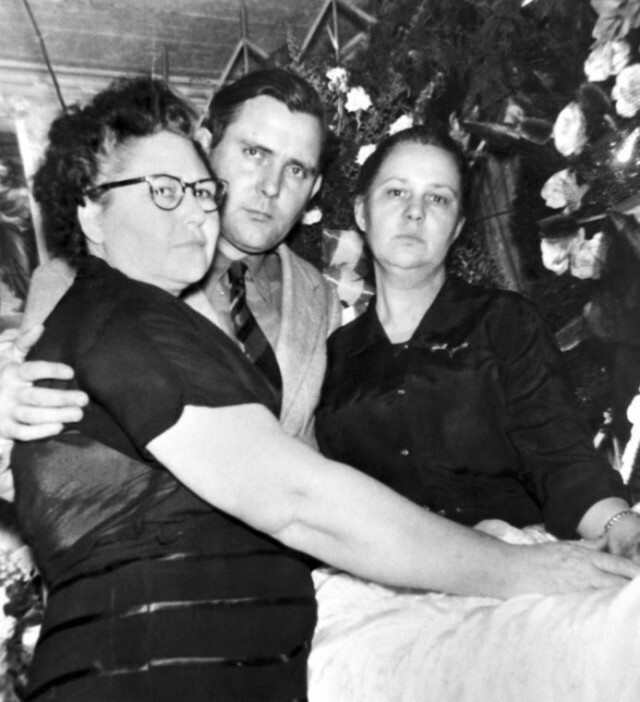 They were people who had known Nannie and reported the suspicious deaths of husbands and other family members. Nannie confessed to killing Samuel saying she did so because he bothered her. He did not let her have a TV or a radio, and one morning she added poison to his coffee, overdoing the dose. 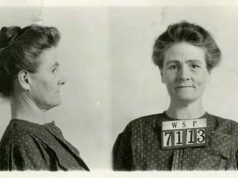 Later she confessed to have killed her four husbands, her mother, her sister Dovie, her grandson, and her mother-in-law. 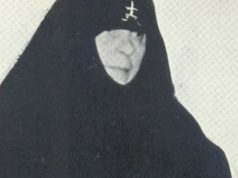 However, she only went on trial for the death of Samuel, pleaded guilty and was sentenced to life imprisonment in 1955. She died of leukaemia ten years later, in the prison’s hospital.